Navajo Native American key chain. 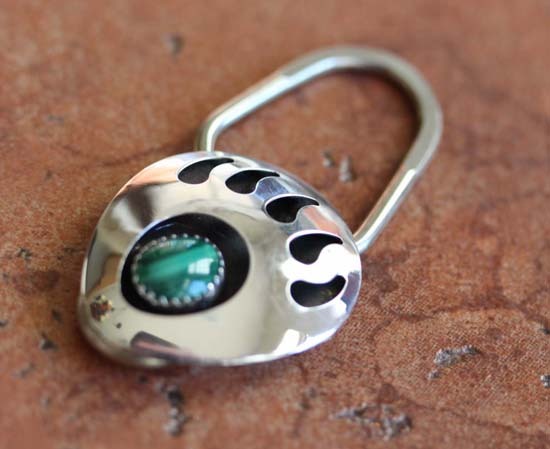 It is made from sterling silver and malachite. The key chain is about 2 3/16" in length and 1 1/8". It is stamped D Johnson and Sterling.